I don’t know what it is about October, but it looks like everyone and their mom decided to host or participate in a game jam. As always, you can check out all of the past and current jams over on our jam tracker but I wanted to bring your attention to some of our favorite jams and the games they produced. 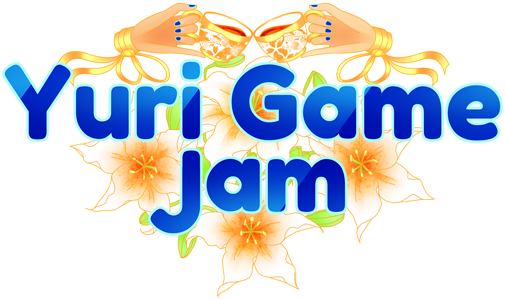 This year’s Yuri Jam is the 4th annual jam about women and non-binary folks who love women. Each year there have been tons of great entries across a variety of genres and 2018 is no different. As of the jam’s conclusion last week there are 61 entries in the form of RPGs, bullet hell shmups, and the classic dating sim. There are tons of great games in this jam that you should definitely check out, but I want to highlight one specifically-- Scrambled: Syd City. Scrambled is a dating sim (the most popular genre for entries in this jam) but it stands apart from the pack with its unique presentation. Yes you’ll be clicking through tons of dialogue in Scrambled, but above those walls of text are some genuinely beautiful painted panels. Thematically Scrambled is a tale of superheroes in love and the presentation matches it with comic aesthetics but instead of pencilled-linework each character and background appears to have been painted. This gives the game and characters a neat fantasy feeling that I really enjoyed. You’ll do worse things today than play Scrambled: Cyd City so check it and the other games from Yuri Jam out. Procjam as a concept has always impressed me. Where some game jams just ask participants to build a game, Procjam tasks developers with “making something that makes something” IE procedural generation. Just like the Yuri Jam, there have been scores of absolute amazing projects that have come out of past years’ competitions but what sets this one apart is just how much support the organizers offered participants. This year there were guides, professional talks, archives of past years’ talks, and even a starter project for developers looking for help kicking things off. This had to have expanded the field of participants as there are over 150 entries in 2018’s Procjam. As was the case above I also want to highlight an interesting entry from this year’s Procjam field. Some of my favorite memories are from trips where I went to new cities and just wandered around. It’s great to bathe yourself in an entirely new atmosphere and just throw yourself into the deep end of life in a new city. The Lesser Known Cities of Europe knows this feeling and generates new cities for you to explore and take pictures of. You can explore each of these places at your own pace or accept photo contracts that play with the game’s day/night cycle. Of course, the best part of all of this is that whenever you’ve tired of your current city you can just generate a new one. 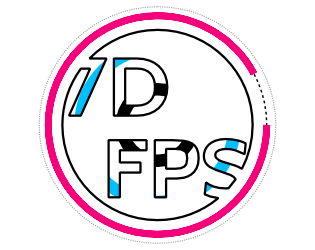 I’m happy to announce that the 7D FPS jam is the most literal game jam title in existence. What are you going to make? An FPS. How long do you have to make it? 7 days. This year 89 teams answered the FPS call and took the genre to a punch of weird and fun new places. To continue the literal theme from above, let’s talk about FPSWare a game that is exactly what it says in the title: Warioware with guns. Like in Warioware you’re only given a moment to decipher what the instructions are asking you to do but where FPSWare comes into its own is that it recontextualizes classic FPS mechanics through this timing mechanic. Each segment lasts only a moment but you’re asked to take out enemies, rocket jump, or blast apples off models’ heads. If you’re partial to the FPS genre, FPSWare is a fun trip through classic mechanics with a wacky arcade feel. Have you joined any jams lately? Are there any jam games you’ve played that deserve more love? Let us know in the comments below.